Betty closed toe debutante shoe. Our customers have been asking quite a lot lately for a plain close toe white debutante shoes. The Betty white shoe made from white satin which is especially relevant because they can be dyed later to match your formal gown. Customers can expect to see these shoes in sizes 6 to 13 in an extra wide width. Come visit us, and see the many deb shoes available from Leah S Designs wedding and deb dress shop. 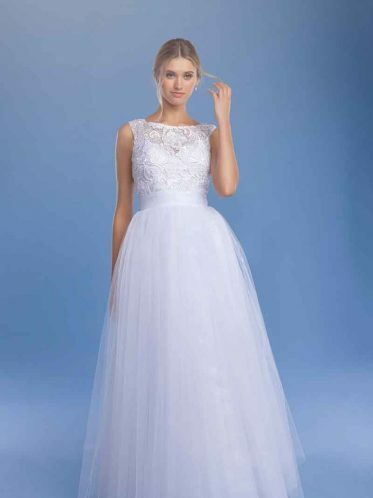 Furthermore we also stock wedding dresses, white gloves and other Deb dress accessories. These shoes cane be dyed ivory and worn as wedding shoes too.